I decided to take a little working holiday this Spring, making stops all over the USA. I visited friends in NYC, saw my cousin in Atlanta, and even explored the West Coast for a bit. All along the way indulging and enjoying some of the local eateries. I also decided to prepare a couple meals for my friends and family per their requests. NYC was the first stop, and with so many options for groceries, I really had to narrow down my menu based on the ingredients required. We decided on Italian, which immediately brought Burrata to mind. Seeing as how it was heirloom tomato season, I knew this would be a favorite. The brainchild of Joe Bastianich, Lidia Bastianich, and Mario Batali, Eataly is a premium Italian goods grocery store located on 5th and 23rd in Manhattan. It's a haven for anyone who enjoys the finer things in life, especially when it comes to quality food products. This next dish was something I had been craving ever since my friend and author of food blog Dubai Bites, Nausheen Noor mentioned it to me several months back. The idea of Meyer Lemon and Jumbo Lump Crab together literally made my mouth water. I decided to toss these delectable ingredients with fresh pasta in a white wine, butter, and chive sauce, needless to say every plate was licked clean. This dish is a clear example of beauty in simplicity, I used fantastic ingredients and prepared the components meticulously so each ingredient balanced the next. As a side I decided on a gorgeous green. When I came across broccolini at Eataly, I knew this would be the perfect pairing for this meal. Blanched then sauteed in a chilli and garlic infused olive oil, these crunchy and healthy veggies added the right amount of texture and completed the meal. Next stop was Atlanta, where I found a number of permanent standing farmer's markets all over the city. My cousin and I hit up the Buckhead farmer's market and found everything we needed. I was really impressed with the selection of fresh fish at this particular vendor. My cousin and I had a particular craving for Striped Bass that evening, lucky for her I already had an original recipe in my repertoire that paired perfectly with this mild flavored white fish. Pictured below is a perfectly Pan Seared Striped Bass with tomato and leek ragout. This flavorful sauce also incorporates golden raisins which added a delicate touch of sweetness, which I paired with spicy kale chips. This combination of ingredients was light and flavorful, and also Paleo friendly (in accordance with my cousin's dietary restrictions). Upon first bite, my cousin was in love and satisfied with her meal. I thought this dish needed a thirst quenching cocktail to compliment it. So when I came across these luscious Blood Oranges at the Atlanta farmer's market, I realized exactly what I wanted. 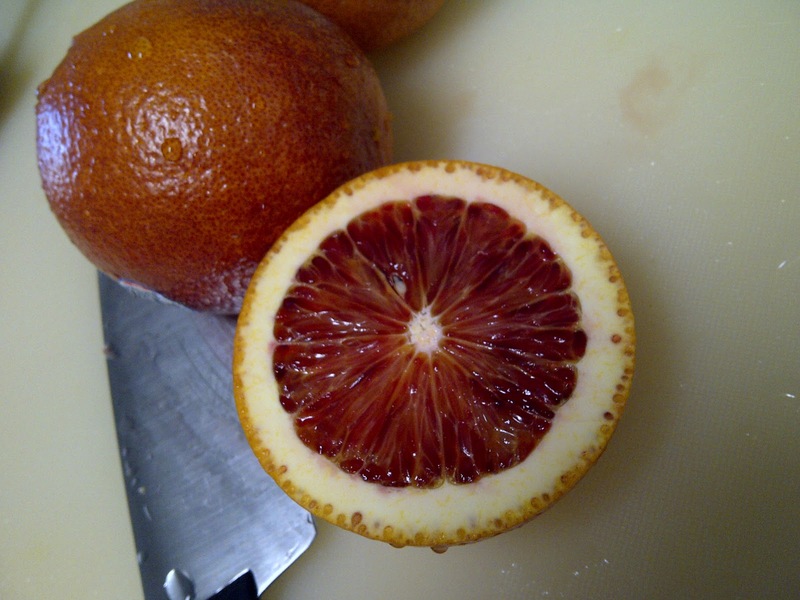 Since my tomato ragout had a touch of fresh orange juice in it, i though these blood oranges would work well in mimosas. The light and refreshing combination of citrus and Chandon worked magically and elevated the dining experience to the next level. I also decided to make a more extravagant dish for my cousin as a special 30th Birthday treat. This dish contains all our favorite ingredients, but executed in a "Paleo" friendly way. The dish is coconut curry braised short ribs with spiced sweet potatoes and pickled peppers. This dish was partially an experiment paired with a standard Saba Wahid recipe. I first made my coconut curry sauce with the braised goat legs last summer for my grandmother's birthday party. My cousin and I were craving beef, so I decided to pair the same sauce as well as culinary technique with short ribs. The sauce started out with a basic mirapoix mix to which I added some leeks. After those cooked down, I added the coconut milk, organic beef stock, lemongrass, curry powder, sambal, lime juice, galangal, curry leaves, and salt and pepper. After bring this sauce to a boil and allowing it to simmer for a few minutes, I poured it over the seared short ribs in a deep glass dish and braised it for 3 hours in the oven. Tender and falling off the bone, this dish was a huge success for my cousin. She especially appreciated the spiced sweet potatoes and pickled peppers I paired with it. This dish was carb free, therefor it was satisfying, but to a point of being comfortably full. 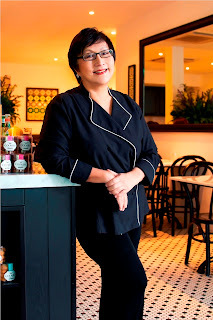 Chef Violet Oon is known as an ambassador for Singaporean cuisine. Coined as a food guru and held in high regard across the culinary scene in her native country, Chef Violet Oon doesn't hold back when it comes to expressing opinions about the diverse nature of this delicious cuisine. I was fortunate enough to get an exlcusive interview with her, check out some of the in depth answers from this one of a kind culinary talent. 1. For those that might not be familiar with Singaporean food, what is it and how does it differ from Nonya cuisine? Nonya food offers are a blend of Chinese, Malay and Indonesian flavours. It was developed from early Chinese settlers who inter-married with Malays and now live in Indonesia or Singapore. 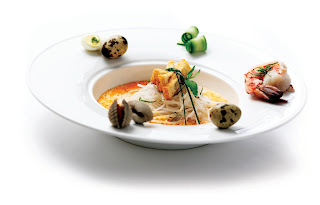 Singaporean cuisine, on the other hand, is a cultural melting pot of Chinese, Malay, Indian and Peranakan flavours. It offers a multitude of aromas and cooking styles from Halal Malay food to South and North Indian Pratas and Biryani, to Hainanese Chicken Rice and the Peranakan Laksa (pictured below). Singaporean dishes easily reflect the country’s rich multicultural background and it is due to this that Singapore has been dubbed the ‘Melting pot of Asia’. 2. Can you describe some popular dishes that are an emblem of the cuisine? I would have to say that the most popular dishes are Chilli Crab (picture left) , Chicken Rice (picture right) and Singapore Satay (pictured below), which are the same dishes that I was cooking live at the Singapore Food Festival. But without a doubt, Chilli Crab is considered one of Singapore’s greatest culinary inventions. It was created by Cher Yam Tian in the mid-1950s when she, on her husband Lim Choon Ngee’s suggestion, added bottled chilli sauce to her dish of stir-fried crabs which she had normally cooked with bottled tomato sauce. This was to be the beginning a Singaporean institution. In 1956, the couple began selling the dish from a pushcart along the seaside. Business was good and they eventually opened a restaurant in 1962 called Palm Beach, at 514 Upper East Coast Road. Hooi Kok Wah, one of the four local chefs known as the “heavenly kings” of Chinese cuisine is also considered a pioneer of Chilli Crab in Singapore. When he opened the Dragon Phoenix Restaurant in 1963, Hooi had created a more sour version of Chilli Crab that used lemon juice, vinegar, sambal, tomato paste and egg white in the gravy instead of bottled chilli and tomato sauces. This has become the more common version of the dish found in Singapore today. 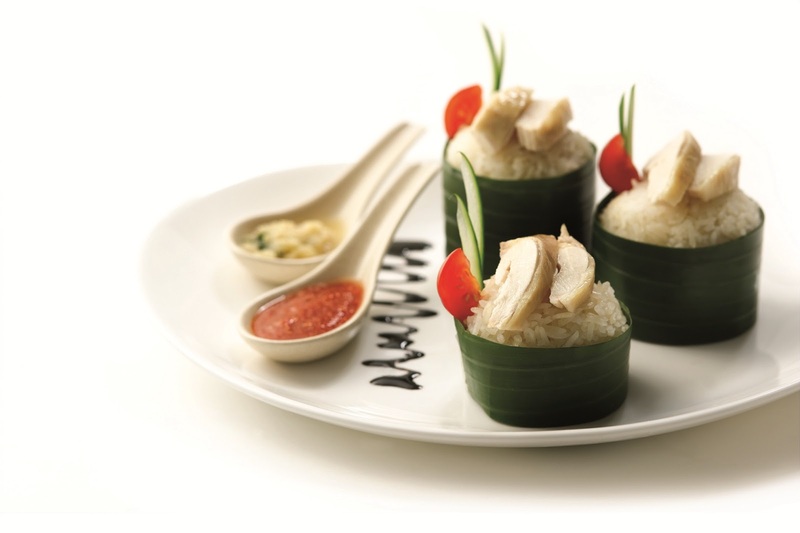 Chicken Rice is a signature dish with Chinese influences, made of succulent bites of chicken served on fragrant rice. 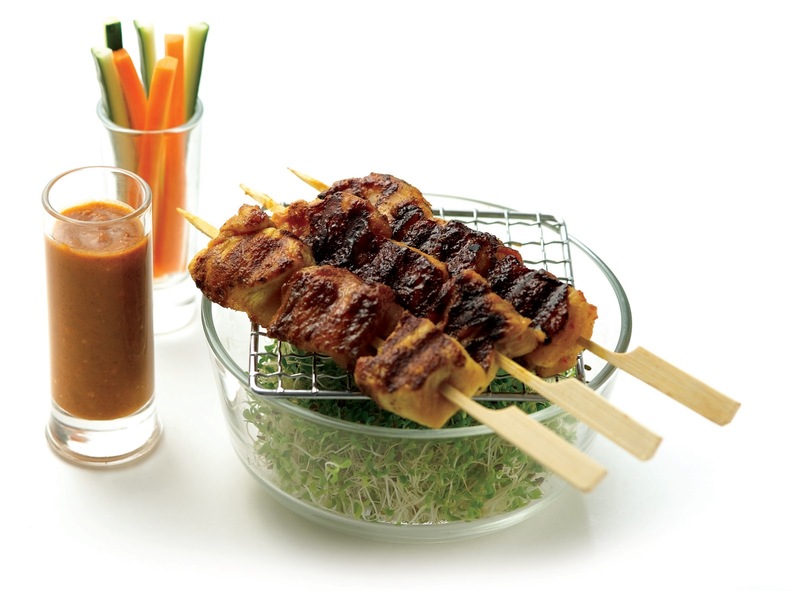 Singapore Satay – another one of my favourites and perfect for dinner parties – are tasty spiced meat skewers served with a velvety peanut-based sauce. This dish is influenced by the country’s strategic position as a trading post along the spice route. These dishes are all great representations of the mixture of flavours and cultural influences one can find in a Singapore dish and all of them are mouth-wateringly delicious! 3. You said you started cooking to keep your family’s food legacy alive, who will you be passing this onto in your family? As a family we have actually set up a restaurant called Violet Oon’s Kitchen. My daughter designed it and now both she and my son are my business partners. I am very happy with the path we have chosen in that we are now able to share my family’s food legacy with the world. Also, my cook books allow anyone to easily make delicious Singapore dishes at home. 4. You have appeared as a guest chef on several TV programs, would you like your own show?I very much enjoy being a guest chef on TV programs. Just last month I was a guest chef on Chef Osama’s program here in Dubai. As Singapore’s Food Ambassador I regularly travel the globe promoting Singapore cuisine to international audiences. TV guest appearances are always great fun, but what I love most is cooking for consumer audiences like we did at the recent Singapore Food Festival in the UAE. It allows me to share my passion for Singapore food with other cooking enthusiasts. Food is such a wonderful way to learn about other cultures, and I regularly travel the world making appearances at food events. 5. How big is culinary media in Singapore? Food is probably Singapore’s most important cultural export. With So much of our national identity reflected in the unique flavours of our cuisine, Singapore people are really passionate about their food. Our food media scene definitely reflects this passion. From dedicated food channels, home entertainment magazines and custom books, to a growing community of professional food reviewers and bloggers, Singapore food media cover a wide variety of interests and tastes. In fact we have a special Food Media Club to support the industry’s journalistic needs. 6. Let’s talk about the famous chilli crab dish, what makes this dish so unique, and is it easy to make at home? Arguably one of Singapore’s greatest culinary inventions, chilli crab is a popular seafood dish among locals and foreigners in Singapore. What makes this dish so special is its sensuous, sweet yet savoury sauce, created with a base of chilli and tomato sauces which will electrify your palate and satisfy your taste buds. The red-tangy sauce is made deliciously fragrant with light flavourings of garlic and rice vinegar, while thickening flour and egg ribbons (produced by adding beaten eggs towards the end of the cooking process) give the chilli crab dish the fluffy texture it’s known for. For extra oomph, order some mantou (toasted buns) to scoop up the thick gravy, which will leave you hankering for more. 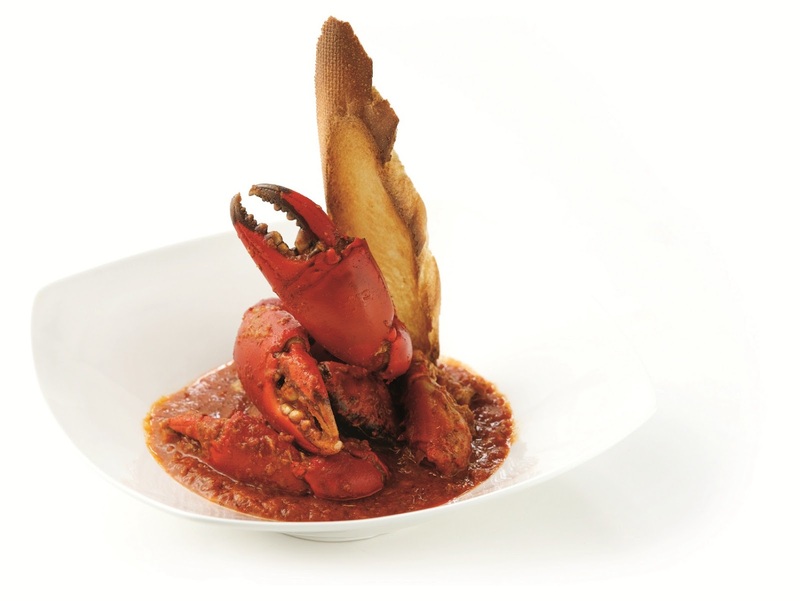 The dish consists of deepfried crabs that are served in a chilli- and tomato-based gravy. Mud crabs are normally used and these are usually Sri Lankan, Burmese, Filipino or Vietnamese in origin. However, you can locally source the crabs, and it tastes just as good. Ready-mix chilli crab pastes have been developed for those who want to recreate the famous Chilli Crab flavours at home and, following the Singapore Food Festival, are now available at LuLu Hypermarkets. 7. You are currently the author of 3 cookbooks, are your cookbooks available everywhere?My interest in food started off as a journalist and so it was only natural for me to write a cookbook during my career as a chef. My cookbooks are actually currently out of print and I am in the process of writing a new cookbook. 8. Do you currently have or ever want a restaurant of your own? 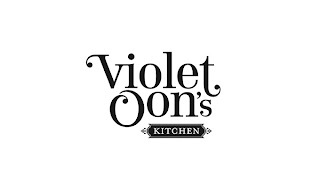 I currently own a restaurant called Violet Oon’s Kitchen. The concept behind it is a home away from home, where it is as if you are in your grandma’s kitchen and she’s serving up a perfect dish she has made with all her heart. It has a laid back atmosphere and is the right place to have a good time coupled with good food. It’s located in the centre of Singapore. I am very happy with the result and couldn’t be more proud to share this culinary adventure with my daughter and son as my business partners. 9. What would be the ideal place for it? We would love to expand Violet Oon’s Kitchen, first as spin-offs in Singapore. We have been told that the way we serve Singapore food would appeal on an international level – and why not Dubai in the future? The mix of cultures found in Dubai breeds an exciting dining scene, where I feel that Violet Oon’s Kitchen would be welcomed too. 10. 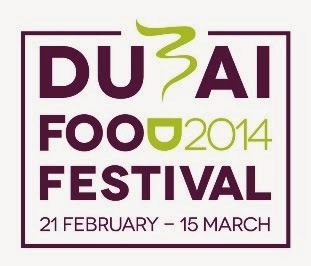 Singaporean cuisine is under-represented here; do you think it could work in Dubai? Singapore and Dubai are very similar in that they are both a melting pot of many nationalities. The cultural diversity in both cities means that people are more than happy to try out new cuisines. I think that it is due to this that Singaporean cuisine could be appreciated and would work well in Dubai. The Singapore Food Festival gave the people of this country an opportunity to taste the variety of flavours offered by Singapore, and I found people to be really receptive to our flavours. Who knows, maybe one day I’ll open another Violet Oon’s Kitchen here. 11. What’s the best thing you ever ate? As a foodie, I don’t think I can say there is one ‘best’ thing. What I can say is that I am still captivated by the mix of flavours and textures Singaporean food has to offer, and I enjoy it every time I eat it. 12. If I plan a trip to Singapore, what are the top 10 things I need to eat and see? If you plan a trip, the first place you need to eat at is my restaurant, Violet Oon ‘s Kitchen! *laughs*. Singapore is such a great place and has such a mix of cultures. You will be welcomed anywhere you go in Singapore and guaranteed a great time! 2. Marina Bay Sands – where you may eat at the many restaurants found in both the hotel as well as the mall – you are spoilt for choice. 4. Chinatown – walking around the area is great – you may try Esquina, a tapas restaurant. It’s a tiny place that doesn’t take bookings, but if you get there just 10 minutes before it opens, you will snag a table! 5. Restaurant Andre – this is also found in Chinatown and is the gentrified place. 6. Geylang Serai Market – this is the market dedicated to Malay/Muslims in Singapore and is the heartland of the Malay/Muslim culture. The market is on the ground level and the second level comprises a wonderful array of food stalls selling authentic traditional Malay food. 7. Little India – you should definitely shop at Mustafa’s and walk along Race Course Road and Serangoon Road. 8. Katong, along East Coast Road and especially at the cross roads with Joo Chiat Road – visit Rumah Bebe for a true glimpse of Peranakan shopping and home cooked food. 10. Orchard Road – the shopping in this area is great, especially Takashimaya shopping centre, the Paragon, Tangs and Ion shopping mall. It is also a fun place to go if you are a fan of “people watching”. 13. What was it like cooking at the James Beard House? How many dishes did you prepare? It was such a great pleasure and honor to be invited to cook at James Beard House around 10 years ago. It is such a fabulous American gourmet institution and spending 10 days there promoting Singaporean cuisine was a privilege. We prepared an array of around five plated dishes served course by course- starting with canapés in the beginning. All together it was a great experience, and I must say, they all enjoyed my cooking! 14. Will you be conducting any classes while you are here? 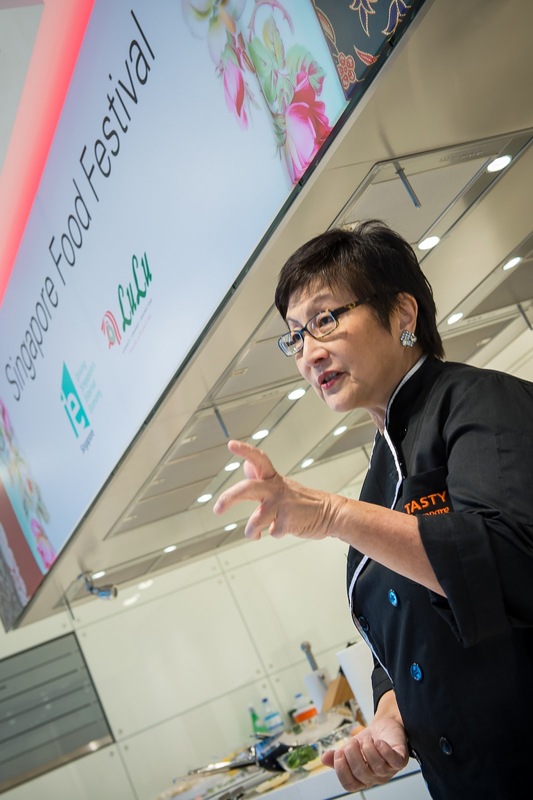 I would really have loved to, but unfortunately there wasn’t enough time between all the cooking demonstrations I was doing at both Singapore Food Festival and the Gulfood trade show. However, if you came to watch me at any one of the demonstrations, I guarantee that you would have picked up a thing or two! 15. As a Singaporean food ambassador, you have had the privilege to work and travel to many countries. What’s been your favourite experience so far? I don’t really have a favourite experience per-se, as each one has been fantastic and unique. But I must say that being here in Dubai has been the most surprising, as I didn’t expect to be so welcomed and feel such a connection to this marvellous city and country! Located in the heart of Jumeirah, across from Safa Park and nestled into the sleek Wasl Square complex, Book Munch is a new addition to the cafe concepts of Dubai. This cozy little literary cafe is the first if its kind and perfect place for a quite afternoon meal or snack. Surrounded by colorful accents and books of every kind, one can't help but feel at home in this quaint neighborhood spot. Upon entering you are greated by a table of mini muffins, breads, and treats of all sorts inculding home-made granola and biscuits. The menu and all the fine details regarding anything culinary have been created and developed by a fellow foodie friend, Fiona Archibold. The beautiful finishing touches and gorgeous food display could only be done by a passioante individual and I'm glad Fiona was on the job! Because of its startegic location Book Munch also offers up take-away options if you'd like to enjoy their menu items in the great outdoors, "The Perfect Package" is a delicious picnic which includes comfy rugs, and free passes for safa park! BookMunch’s picnic baskets contain beautiful food and fresh juices for every taste and age group. A myriad of goodies are included - fresh bread, gourmet sandwiches, a variety of cheeses, salads, fruit, and for after, chocolate pots and the café’s much loved carrot and courgette cake – all washed down with a choice of juice or take-away hot or cold beverage. For Lunch, there are many options, But when I saw Carrot and Pumpkin Soup on the menu, it was a no brainer. It's one of my favorite combinations, and oh so comforting. The consistency of the soup was good, and the natural colors of the vegetable along with artistic presentation made this an appetizing order. Served nice and hot, this soup did have an earthy warm taste, but could have used the help of more seasoning to really bring it to the next level. With my soup, I also enjoyed a Pear, Gorgonzola, Almonds, and Spinach salad, a nice light lunch combination. The toasted slivered alomnds were the perfect amount of crunch paired along with the pear and spinach. I was however dissapointed with the waitstaff for not communicating the cheese substitution. I was clearly served Brie instead of the Gorgonzola, which also works, but it should have been communicated to me by the wait staff. Because the cafe is still on the newer side, I understand it takes time to train waitstaff, but it's the attention to detail that can win customer loyalty (even over the food)! My friend ordered this hearty portion of Spaghetti and meatballs. After seeing the presentation on this dish, I knew Fiona had a part in plate design here. The heaping mound of pasta, topped with the medium sized meatballs peaking out from under the chunky tomato sauce was picture perfect indeed. It's a dish that is universally pleasing and simple to execute, but it really does come down to the plating. The use of the deep bowl here added a lot to the aesthetic, and allowed the dish to really stand out as a winner. My friend throughly enjoyed every last bite! For dessert we heard great things about BookMunch's famous Carrot and Courgette Cake. I have to admit, that even as a foodie, this was a first for me. Carrot cake is one of my favorite flavor combinations, and courgette (Zuchinni) cake is something I enjoyed as a child when or neighbors would bring over freshly baked loaves made with there garden vegetables. However the combination of carrot and courgette in a cake was a first for me, but not the last. As you can see in the photo, the cake is quite dense, with no visible air bubbles, and moist as can be. Topped with the cream cheese frosting and garnished with the cinnamon dusted birdie in the top left corner, my friend and I shared and gobbled up every last bite of the unique and wholesome flavor duo. Just to give you an idea of what the interior is like, check out the colorful accents and warm wood paneling that makes this cafe so inviting. The best part about a cafe like this, is that it's kid friendly, so for any Jumeirah Janes out there looking for an afterschool entertainment idea, bring the kids by for story time and enjoy a slice a cake with a cuppa tea for your own little afternoon treat. The colors are consistent throughout the restaurant as well as with their extensive dessert selection. Macaroons galore, bread pudding, as well as the chocolate pots I have been hearing so much about make it difficult for anyone with a sweet tooth to resist. If you happen to by driving by, or are looking for a fun weekend option, check out BookMunch in the Wasl complex. They have many options and provde a comfortable environment to hang out and enjoy. With the Safa Park picnic option, you really should make the most of the season before the hot summer months roll around and indulge in all the tasty treats made fresh from scratch at this lovely neighborhood cafe.